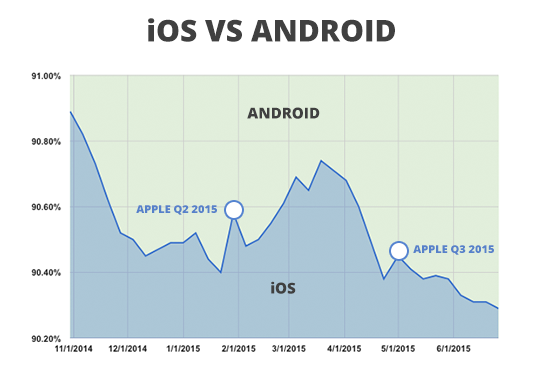 This week Apple lost 0.02 percent of the mobile device pie to Android among pMD's charge capture physician users. On a positive note, Apple has updated the terms of its AppleCare+ plan for iPhone, iPad, iPod, and Apple Watch to cover batteries that retain less than 80% of their original capacity. Users won't have to settle for losing precious battery life in older phones!